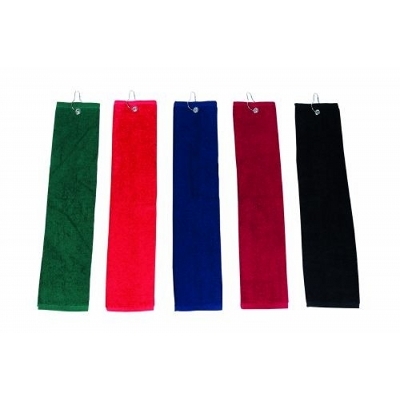 Elite - Small Plain terry Golf Towel with hook and grommet. 37x60cm 500 gm2. Print or Embroidery recommended Ask us about decoration options. Call customer servise for assitance. Materials: 100% cotton terry. Item Size: 37 x 60cm. Packaging: 10 per poly bag. 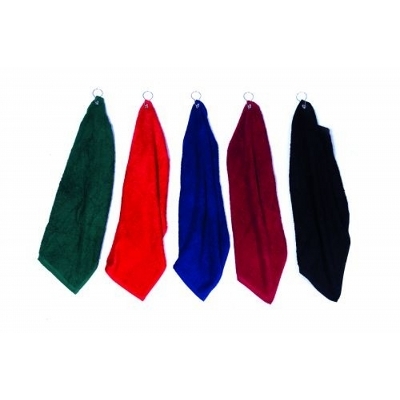 Colours: Steel Grey | Chocolate | Black | Red | Navy | Orange | White. Decoration Options Available: Print | Embroidery | Photo Decoration. Description: Always searching for golf balls or tees? What about goggles and caps? Store everything in the handy Microfibre Accessories bag and clip to your golf or sports bag.. Zip closure with silver puller | Rubber mesh back | Silver fitting to hook onto golf bag | Quality light microfibre. Size: 25cm w x 16cm h. Colours: Black. Decoration Areas: Embroidery | Screen Print | Supaetch | Supasub | Supacolour. Category: Promotional Products. Sub Category: Stress Shapes. Features: Print Area: Decoration option: Pad print. Print Area: 15mm x 50 mmProduct Size: Product Size: 125mm x 52 mm. Colours: Blue, Black and Silver. This putter set has a beautifully crafted metal screw-together shaft and a matt silver aluminium target, assembly tools, as well as 2 balls. The parts are packed into a fully lined PVC carry case with handle. Colours: Silver. Sizes: 310 x 190 x 74mm. Features a high energy core which generates maximum initial velocity for greater distance. Guaranteed cut proof cover for ultimate playability. Packaged in sleeves of 3, inside dozen box.